Water Project, an effort to address the community’s lack of access to potable water. 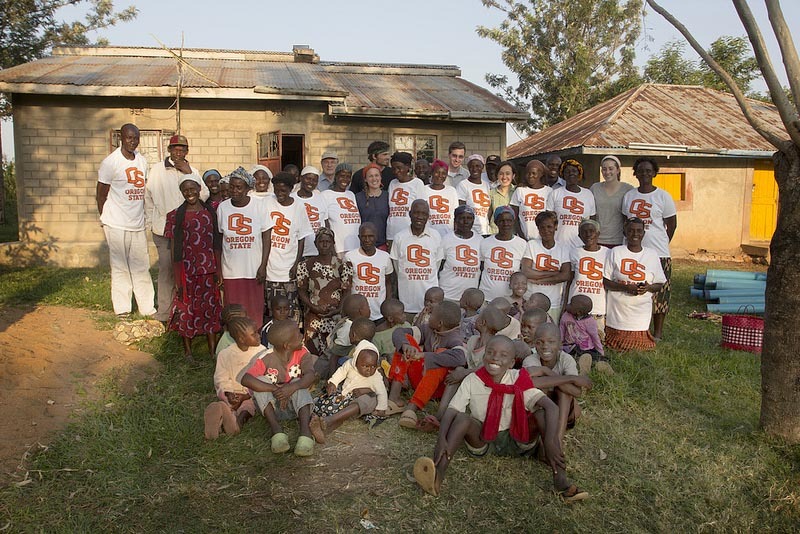 In 2009, the Oregon State University chapter of EWB-USA adopted the project and sent their first travel team to Lela. A second team returned in 2011 to conduct a technical water source assessment. After three years of work, which included a health survey, GPS mapping, water quality testing, and an alternatives analysis, EWB-OSU determined the best solutions were to drill a community water well fitted with an Afridev hand pump, and to build a rainwater catchment at the Lela Primary School. Besides requiring a permit from the Kenyan government, drilling and constructing a well is expensive and uncertain. 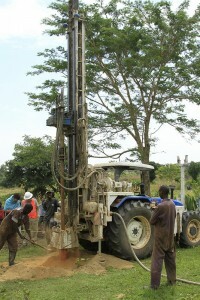 After fundraising for many months, EWB-OSU hired a local NGO called Operation H2O to drill the well, which was approved by the Kenyan government. The chapter also designed a rainwater catchment to provide water for students of the Lela Primary School. In July 2012, a team of five students and one technical mentor traveled to Lela to oversee the construction of both systems. It is often difficult to predict the availability of groundwater, especially in places like Lela where groundwater data is almost non-existent. During their 2012 trip, the EWB-OSU team was thrilled to discover water after only a day of drilling. At a depth of 58 meters, Lela’s new borehole provides a yield of approximately 50 liters per minute. The community was already capturing rainwater from the roof of the school, but the storage capacity was too small to capturerainfall throughout the year. EWB-OSU quadrupled the storage capacity by installing three 10,000 liter tanks on concrete foundations. The system was built using local materials and local labor. EWB-OSU estimates that with the expected rainfall within Lela, the system has the capacity to provide drinking water to all 450 students of the Lela Primary School. As a result of EWB-OSU’s efforts, Lela now has improved access to water. Women and children can spend less time out of their day fetching water, and will be healthier due to increased water quality. However, the Lela community has requested a continued partnership with EWB-OSU to further improve access to safe water. The dispersed nature of the community means that many people must walk long distances to get water. Future work may include drilling additional wells within Lela. For more information about the Lela Community Water Project, please visit www.ewb-osu.org.